France’s Severine Eraud lived up to her favourite status today at the Florence World Championships. 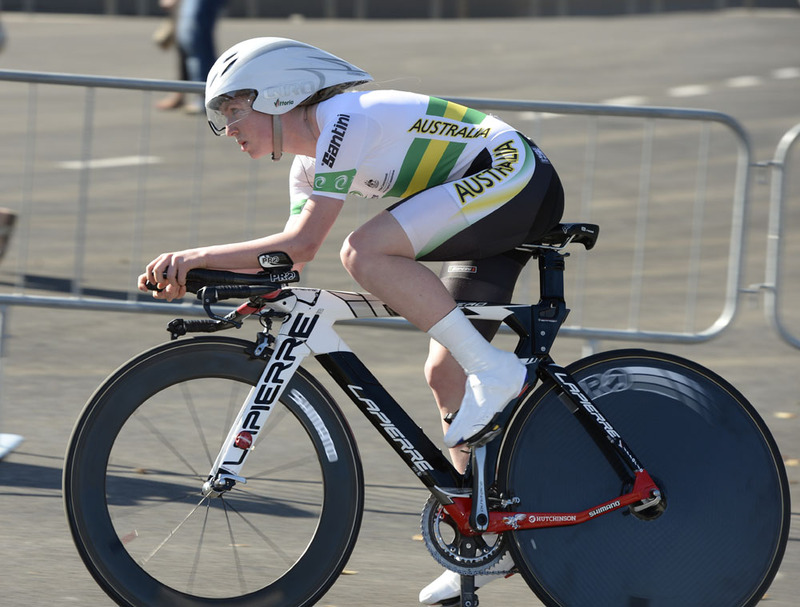 The 18-year-old won the junior time trial gold medal ahead of two Aussies, Alexandria Nicholls and Alexandra Manly. Nicholls, out of 47 scheduled riders, was first off at 10:00. Without references, she clocked a time that stood nearly all day – at least until Eraud arrived. The 22-45-minute ride was 2.69 seconds shy of a win. 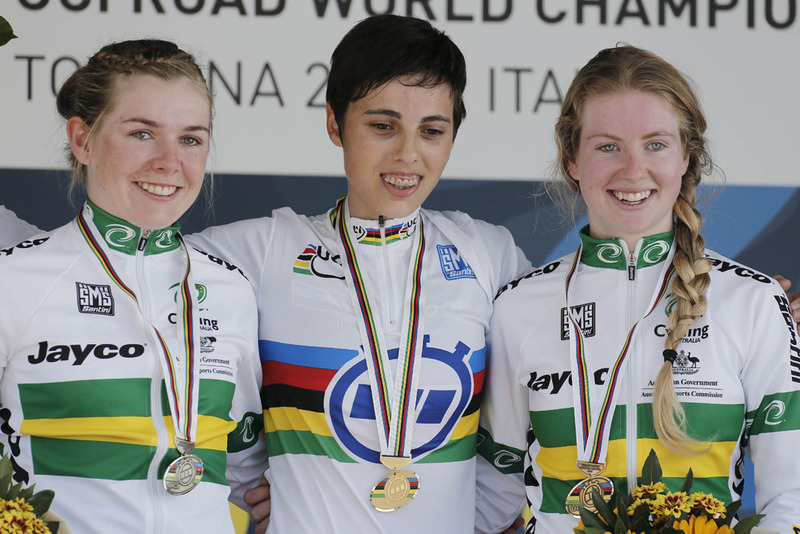 Eraud’s gold adds to her national and European time trial gold medals won in the last two months. 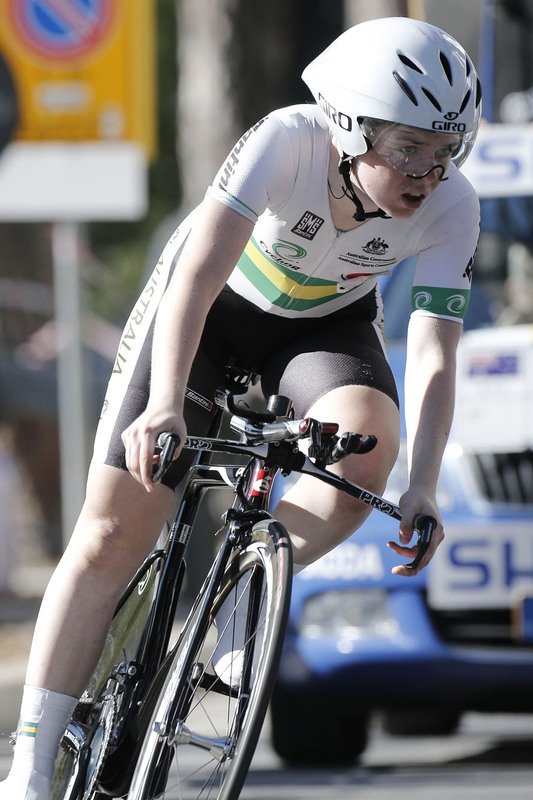 Elinor Barker won the world title last year and signed for Wiggle-Honda over the winter. Great Britain did not field a rider this time around.